Orphaned by an earthquake at the age of five, Ayla is left without family or people. Until she is adopted by the Clan, a group of Neanderthal. It took me a little while to get into this book, but I think that's because I was reading it on and off in my lunch breaks at work and could only read a couple of chapters a couple of times a week. By the time I was about 150 pages in, though, I was hooked. I loved Ayla's character and the way she evolves during the story. It is a journey the reader really does take with her and I was full immersed in her tale. I'm not surprised this book was turned into a film as it really lends itself to the screen with interesting characters and plenty of dramatic action. I'm keen to try to check out the film version in the future and see what it's like - even though it was a box office flop. But back to the book - great story-telling, believable and well-rounded characters and a big finale make this a series I look forward to continuing with. This is highly recommended and I shall be adding the rest of the series to my wish list. I read the first 5 of this series a few years back. The second book (THE VALLEY OF THE HORSES) was probably one of my faves. 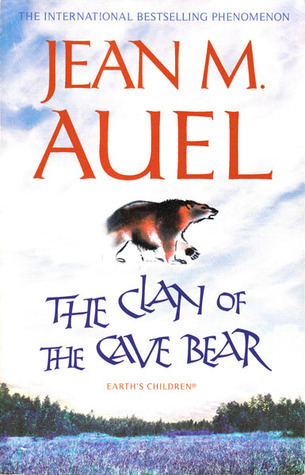 I have not read the new book (#6: THE LAND OF PAINTED CAVES) yet though.